← Fact checking the Dakota access pipeline — Utopia – you are standing in it! How would you like a tickle sunbathing on Cable Beach? 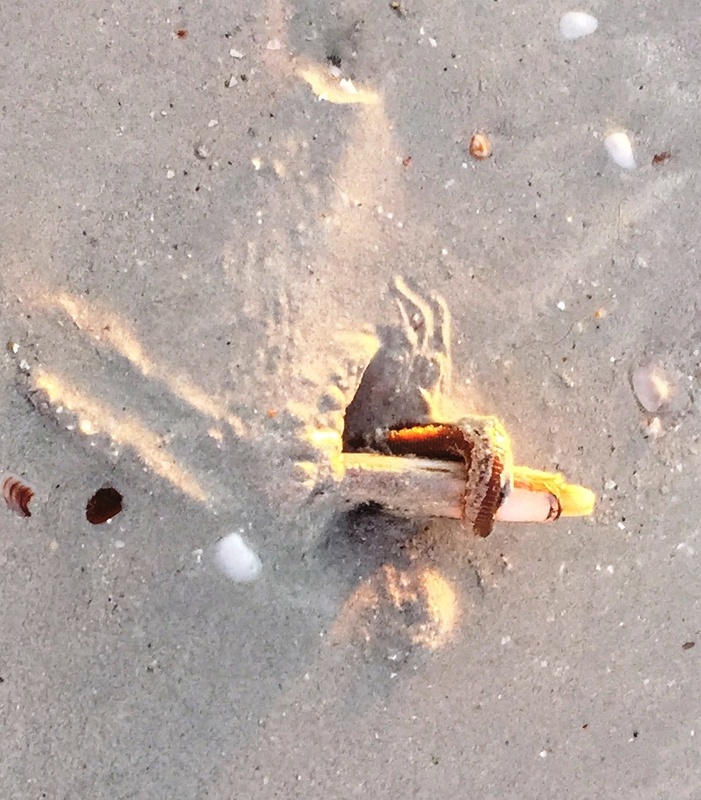 The beach sometimes turns up amazing critters. 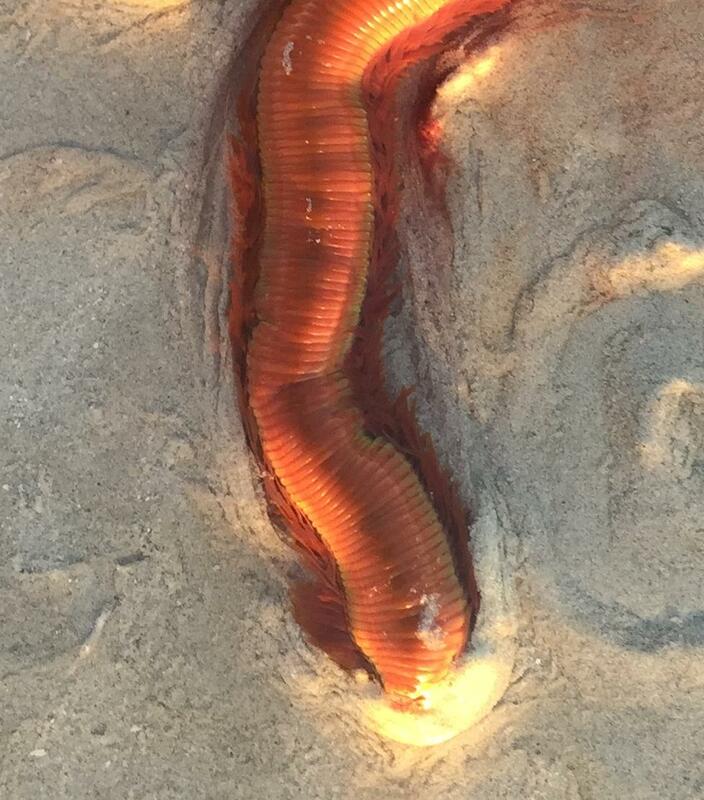 These images were of a ‘worm’ with a million legs, about finger thick, a couple of feet long and live under the sand. 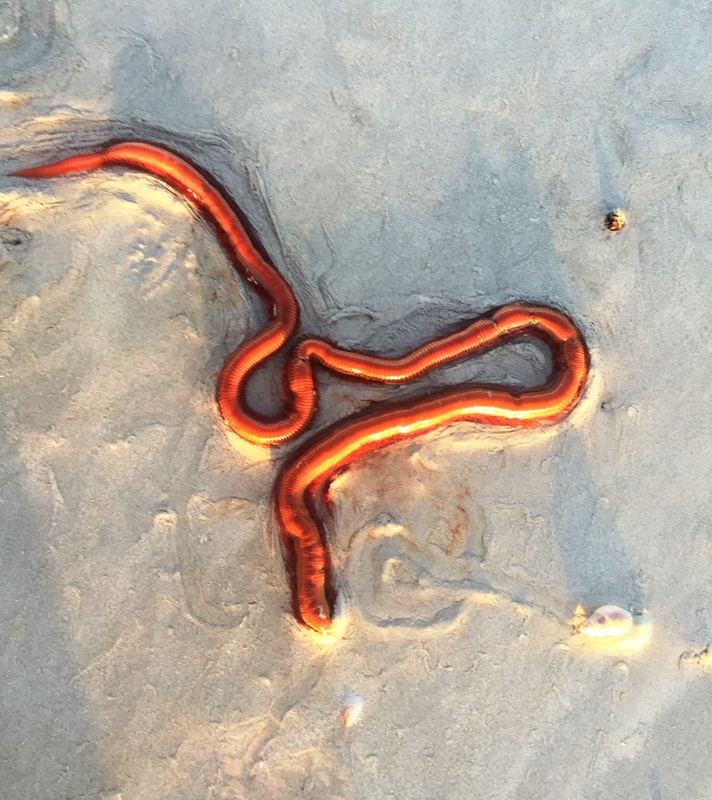 The first pictured here at first looked like a sea snake until up close, the legs were seen. Soon after I saw another one grab a shell like a python and drag it under the stand. I hope they don’t get any bigger! This snail below just escaped. Strangest thing. Click to enlarge. 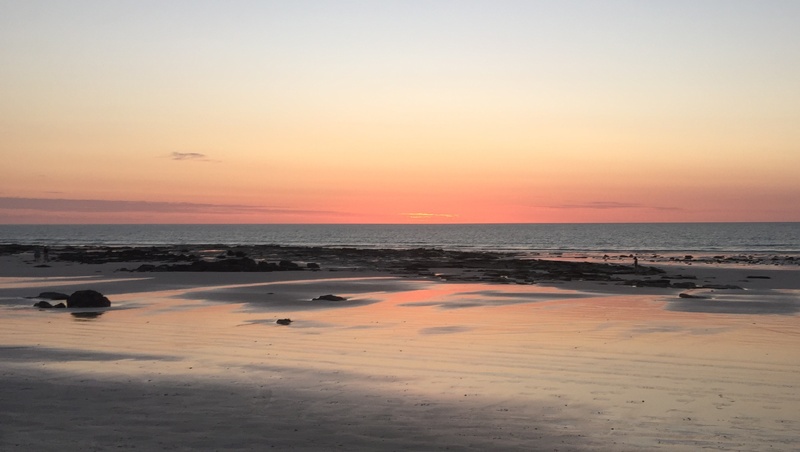 This entry was posted in Broome/Kimberley, Environment, photography and tagged Broome, cable beach., environment, kimberley region, nature. Bookmark the permalink. re doing well. How are Waterbank brumbies doing? Keeping out of harms way, I hope, Craig, it’s been a very dry year, not much water left, but an early wet season is forecast.